ARE YOU A SURVIVOR W/ A STORY TO SHARE? Are you a survivor? Can you inspire someone in a 1 minute video or less? What inspires you? Art, comedy, music? My new labor of love @InspirationWithE is something that I’m SUPER excited about! It’s a space where I raise awareness while combining my love for fellow survivors, multicultural diversity, ALL genres of music and all nouns that inspire me! 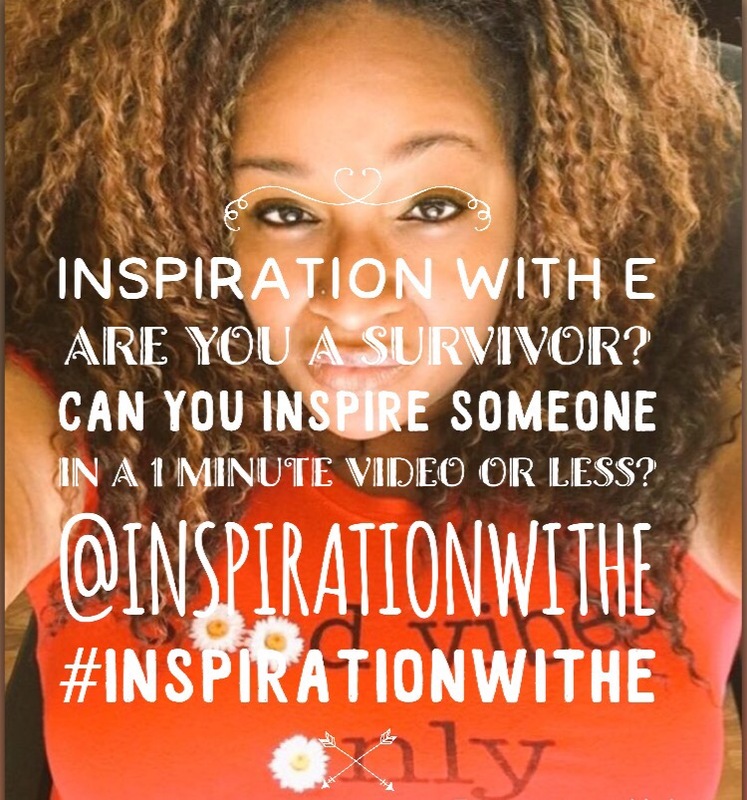 For a chance to be featured on my #InspirationWithE INSTAGRAM page, share YOUR 1 minute VIDEO of inspiration, love, motivation of overcoming, enduring health/hardships or survival that ends with a message of HOPE!! Get CREATIVE! 1) SUBSCRIBE @inspirationwithe on Instagram – 2) DM me THERE for more info OR leave a comment below! *Reminder* 3) No Profanity Please & Thank You😉#PositiveVibesOnly | Tag & Share with a friend! Much love & welcome new faces! Nice project. Hope you will receive many video. As do I! Thank you SO much! Super excited! You always find ways to inspire people. So glad to be invited to join you in this project.